I recently had the pleasure of shooting the beautiful Mandal made by Paulina Sołtowską and Jowitę Wieczorek. So I photograph them for print purposes and wonder how many people know what this mandala really is. In the network you can meet countless courses, workshops and guides on the painting of the mandala, but only few mention what it really is. Most unfortunately, it mentions just something about the wheel and that you can express yourself nicely in your personality. Hmmmm, but no personality can also be expressed even after painting a tree, (which I did in the capital workshop Kasi Leszczyńska). A circle intersected by repeating lines that give it a flower shape, colored with crayons or paints, and this is your rosette… We can say that 90% of courses on the Web offer us the painting of rosettes. They are undoubtedly beautiful and certainly many will say about us, but these are not mandalas. Ano by Jung probably. 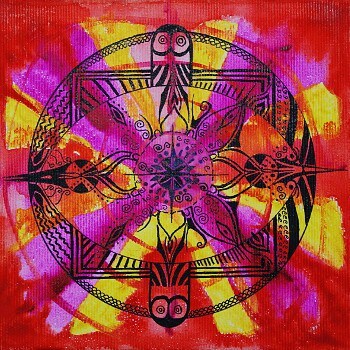 He used mandalas in neuroses therapy and depression. Observing the mandalas created by his patients, he saw changes in their psyche. With the New Age movement, the mandala began to lose its original meaning and is now convinced that its symmetrical shape has therapeutic effect. No not quite. This is a very simplistic view. So what is a real mandala? As you can see, a mandala is a representation in 2d, something that is 3d. A Mandala is therefore a flat projection of an architectural creation. All mandalas combine importance. Each has a middle and a limit. The mandala does not necessarily show a circle, the figures can be different, and the word "circle" has a much wider notion than just the visual appearance of the 2πr pattern. Mandala is derived from the tradition of Buddhist and Hindu Tantras. emerges from the sacred space (Greek Chaos) in order to teach us love. This science is inextricably linked to sound (mantras), color, and image. Going deeper in the subject, studying e.g. Tibetan Buddhist Prayer, the word circle ( Dkyil'khor/MaNDal, dim. Ćilkor/Mendal, Skt. Mandala)) appears as the perfect environment of the holy, God or Goddess. The external environment (mandala) is the world, the inner-souls (entities animate, sensual), and the Hidden-soul (spiritual and intelligent being). In the Inheritance (Tantra), the word circle usually refers to the gathering of the gods. This word also applies to mathematical and graphic circles. This is generally an area of sacred activity. • When contemplate the congregation of the gods in front of you (with a central character – a harbinger and a passing radially lady – goddesses), or yourself as such a divine figure with comrades. Gradually stapiamy such a vision with reality, to see also our loved ones and the environment as a divine dance. 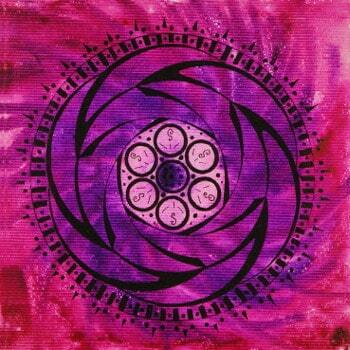 • Putting a circle (Mandala offering) – the act of dedicating everything to everyone. It is an excellent dedication, a crowning of the intelligent soul. The outer circle is the reality – the rich world, the inner – body with the senses (a pleasant sensory sensation is given, and the bodies of the body transform in the palaces of the gods, and the hidden Conscience and judgments (the soul and state of the Spirit are given – what passes The highest form of generosity). In addition to the mandala, it is not only a spiritual experience, but also a very interesting artistic event. 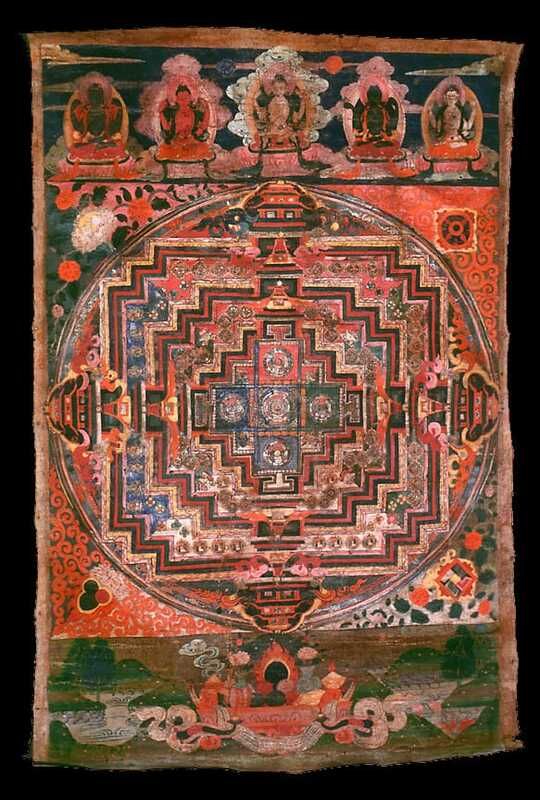 In ancient times, lay people were not able to observe the mandala, because they were created exclusively in monasteries. Now that the Tibetan culture is threatened, the Dalai Lama has asked that the mandalas be Usypywane publicly. When new translations of the spiritual texts of the Jungdrung Bon tradition arose, an idea was born to give them a suitable artistic and cultural background. However, this creation was not meant to be ordinary, and a coherent energetic whole. The author of a series of paintings and prayer flags is Paulina Sołtowska. The images inspired by the healthy word were created also by Agnieszka Orzechowskiej and Jowicie. 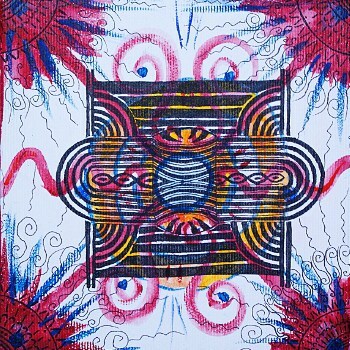 Spontaneous visions of the artist translate into a form which links with classic mandalas symmetry, Promienistość, themes of circles and squares with embedded symbols and patterns. Mandala Dzambali, the god of wealth. "A journey to the beginning with Paulina Sołtowską"
Intense, clean colors fill the canvas space. Mysterious symbols evoke a spell understood only for chosen. Refined details applied in black ink to colourful backgrounds take the viewer to a journey into the interior. Interiors of the universe? is the layman for whom Buddhist and Hindu traditions are quite distant finds in these small canvases hidden in their meaning? Will they remain only in memory as colored symbols mentioning the "Tales of 1001 Nights"? The author of these modern mandalas, because of this kind of perceptions, has brought together the classic form of their own symbolism based on the new translations of the spiritual texts of the ancient Tibet. She restored the meaning of the mandala, because, at first glance, its paintings are different from the traditional mandala, but it no longer confers them purely therapeutic significance as the Swiss psychoanalyst and the Jung psychiatrist did. Nowadays it is common to name the mandalas of drawings based on geometric figures and plant or animal ornaments. Remember, however, that the work of completing the colors of individual drawing planes has little to do with the emergence of a traditional mandala. Paulina Sołtowska perfectly feels like a symbolic painting. This theoretical knowledge and conscious spirituality allow the author to move smoothly after this allegorical passage of painting, which together with the visible part of the painting is made up of painting. On the image that the viewer has to stir, and who makes the search for the meanings therein. The figures of the circle and the square appear in its work surrounded by symbols and stains, which seem to some extent to be spontaneous action. However, they are the result of a study of Buddhist texts, whose analysis invade the author toward their interpretations. So it's not a pure, instinctive creative work that analyze Jung. 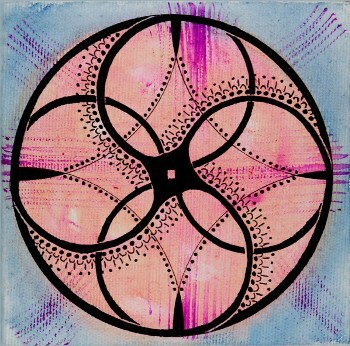 The series of Mandalas presented consists of 8 images. Each measuring 30 cm x 30 cm. They are made on the canvas in mixed technology. On colourful substrates painted with acrylic paints and gouache, the author details the black ink with ornaments and symbols, revealing his good technical preparation. Clean, intense hues and a strong contour of black ink are memorized. And although we are not always able at first glance to read the symbolism of these performances, these visions certainly encourage us to search for concealed meaning. Perhaps someone, thanks to the images Pauline Sołtowskiej, will begin his journey to the beginning and rediscovers himself. Since the Genesis mandal are specific deity and the exact descriptions are according to the prayer texts (which are many versions), there is veeery many mandalas with different properties. A Mandala of health helps to eradicate the disease, support the patient with energy, give him the strength to fight the disease and also protect against diseases. They strengthen the immune system. Mandala love-Strengthen relationships, feelings, help fight the partner crises, make it easier for you to know a loved one. Perfect for young couples. Mandalas that improve sexual vitality – they increase potency, give joy and satisfaction from sexual life, make us more sexually active. Mandalas of wealth – for companies and businesses, helping to develop business and protect against competition. They provide success and success in business. 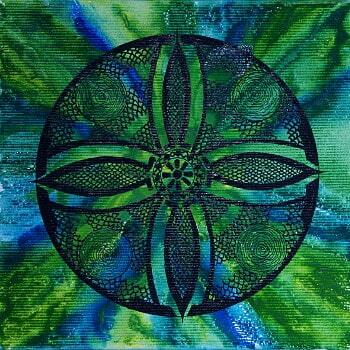 Motivating Mandalas – they help you to make goals in life, assist in self-realization. They also sharpen intuition. It's kind of a "driving force" of the body. Subconscious mandalas, which are used to free up negative emotions, programs and blockages accumulated in previous incarnations. Perfect for people wanting to get rid of fears! Mandalas supporting young mothers for women with problems of pregnancy, in addition, they support during pregnancy, add strength, help to relax the organism, protect against miscarriage, harmonize the organism before birth and after childbirth. Harmonizująco mandalas – Sedative – indicated after the stress, diseases, experiences, silence the body! Help fight off depression. 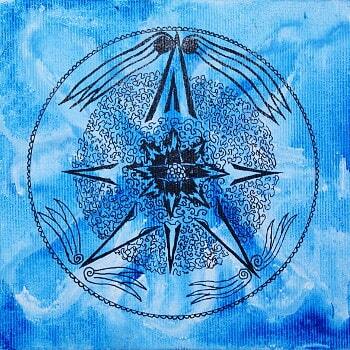 In fact, each well-chosen mandala will work on practically all spheres of life. 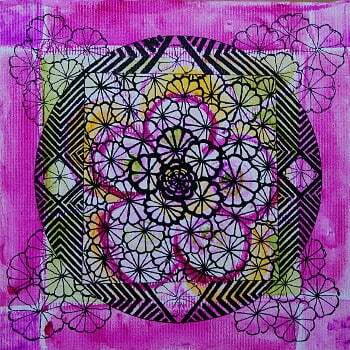 Mandalas interact with the deepest decks of our identity. If we are able to reach them, we will make great changes to achieve our health, happiness, and life in harmony with the outside world. Changing the way we think, we can change all our lives. Navajo Indians have argued that diseases begin in our soul… Therefore, by changing the thinking mode, we can return to good health. We can recover it, possibly maintain it. During meditation, let's start with a single change in our lives that could reduce the signs of illness or the risk of it coming back. This may be a thought associated with changing behavior, accepting one's own person… Let us use meditation to reach such a place in our interior, where there is peace and hope, and above all, health. Utrwalmy a picture of this place… Associating them with shapes and symbolism of the mandala. Let us remember that by making changes, we affect not only our lives, but also the lives of our loved ones. All blockages and limitations in the manifestowaniu of life energy, cause disturbances in the work of the whole organism. It may manifest as a disease, malaise, lack of energy, anxiety or emotional imbalance. 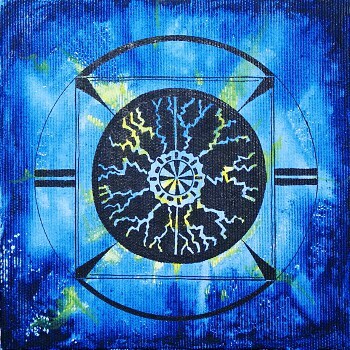 Knowing how the Chakra system should work, we can by choosing the right mandala to get rid of its own locks and limitations, and to apply the appropriate techniques to eliminate them.